A woman can look beautiful in any outfit. If there is something which adds more to the beauty to an Indian woman, it is a called as a saree. Woman in India like to follow her tradition and her tradition says that in any occasions she looks beautiful if she wears a saree. So,the Indian tradition is woven in sarees. Saree makes a woman more beautiful and elegant.There are many famous sarees in India but following has been listed below keeping in mind the user review, user blog and user analysis. This saree is famous in South India. 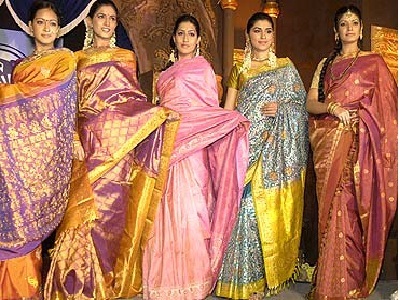 Kanjeewaram sarees are favoured for their durability. This silk is thicker than any other silk and is best in quality. Therefore it is more expensive. 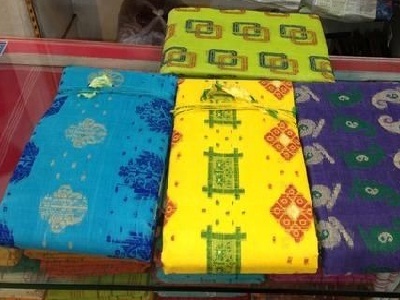 Parrot and Peacock are the most famous designs of this saree. 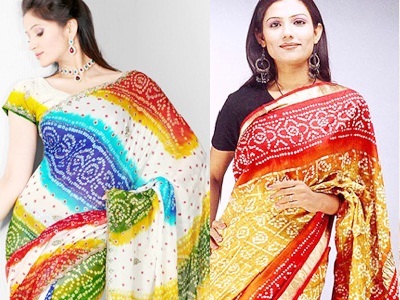 These sarees are usually light weighted and are comfortable to wear. The name for this saree was given after the name of a famous town called Kanchipuram in Tamil Nadu and is considered as one of the most famous sarees in South India. This saree is famous in North India. This saree from Benaras is virtually mandatory in the bride’s trousseau. 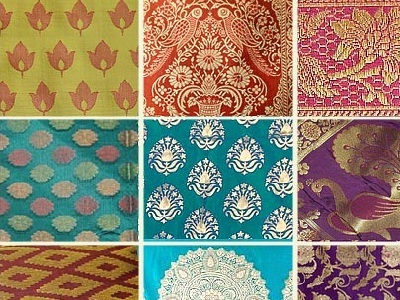 These sarees vary tremendously as weavers create different products to suit different regional markets and changing fashions. This saree comes in different designs such as intricate invertwinning floral and foliate. The inner and outer edge border of this saree looks like a string of upright leaves and it resembles with Benarasi Brocade. This saree is famous in West India and it wore mostly by rabaris and sodha rajputs. The design of this saree looks very elegant and is very famous in India. 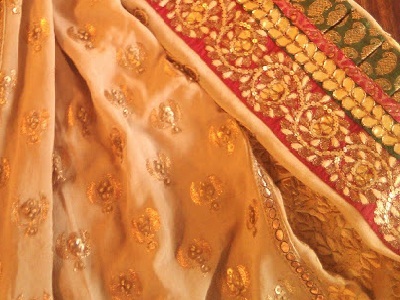 The gold gilt thread embroidery technique makes this saree more elegant and it is also a part of bridal trousseau. This saree is famous in East India. This saree is weared in Bengal. The body of this saree is designed with small butis and a beautiful floral design runs across the edges. This saree is usually five yards in lemgth and 42” wide and it comes in different colors like red, purple and deep blue. This saree is famous in West India. These sarees are created in such a manner that many resist dyed spots produce over the fabric which looks very beautiful and elegant.The design of Bandhani sarees looks very elegant and is mostly available in two colors red and black. The most famous of this type of saree is Gujrati Saree called Garchola, this saree is also used in Rajasthan.